We just went up to Lowe's to pick up some more studs and as usual we browsed around the store looking for any clearance deals on items that we could use in the bus. 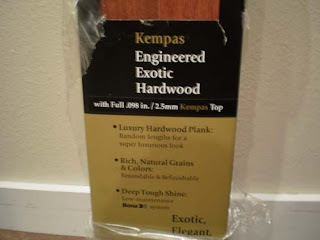 We found a stack of 4 cartons of Cryntel Engineered Kempas Hardwood Flooring sitting with a clearance sticker on them. They were marked down from $45 a carton to $25 a carton. A manager was walking by and we asked if they would be willing to sell all 4 cartons for $25. And he said yes! 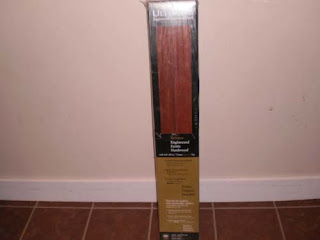 So we walked out of there with all the wood floor we need to for the bus for $25. 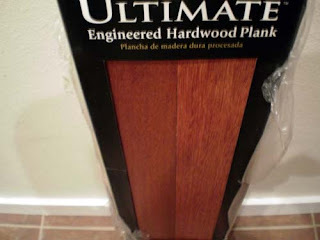 These are real, refinishable, resandable wood planks (Not a laminate). Back on the bus tomorrow!